John Cena has won the Royal Rumble match 2 times. 16-time WWE Champion John Cena returned to RAW this week after April 2018. 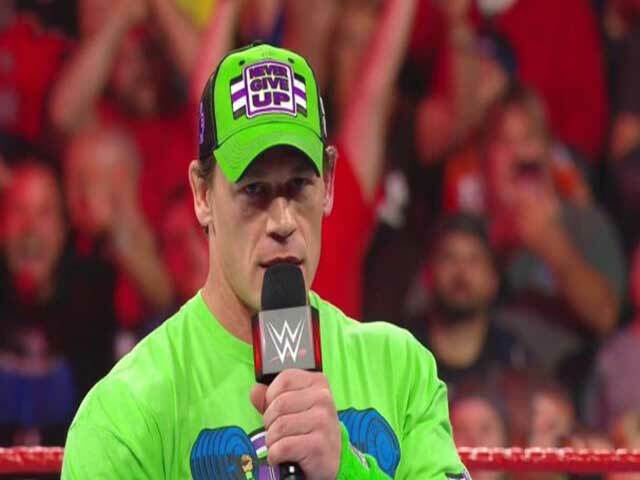 While returning to RAW, John Cena declared that he is going to enter the Royal Rumble match. After returning to SmackDown last week, Cena returned to Raw this week after a long time. John Cena appears in this week's Opening Segment. Cena offered her name for the Royal Rumble match, giving a splendid promo. John Cena is the 12th superstar who announced his name for this year's Royal Rumble. Apart from Cena, many superstars, including Dean Ambrose, Samoa, have included many superstars, including their name. The name of the 11 superstars has been announced for the same Women's Royal Rumble. Also Read: In 2019, 3 best opponents For John Cena.